Spessartite There are 2 products. 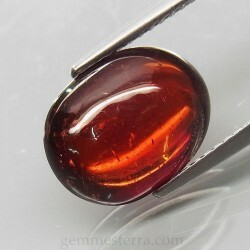 Spessartite garnet cab. 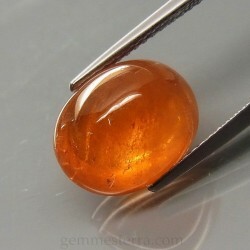 Weight: 6.12ct. Size: 12x9.5x5.2mm. Natural not treated. From Namibia.